Golf is fun. My goal is to help students play golf with joy. To do this, I view it my responsibility to continually learn and progress as a teacher, broadening the tool box. With a simple yet comprehensive delivery, I set out to help the individual in front of me. 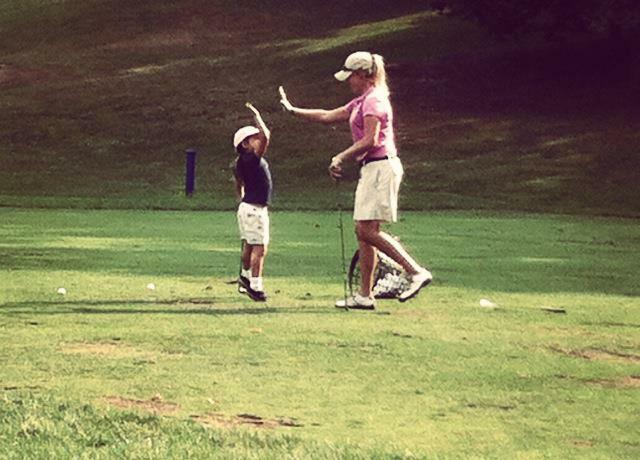 It is my aspiration and commitment to teach students effectively so they can enjoy playing golf. In terms of the swing, my goal is for each student to (1) understand how ball flight is a direct product of the golf swing and (2) to have an effective swing, in line with proper fundamentals, which makes sense for him or her. With this philosophy, students do not become overly dependent on a teacher and can improve through their solid understanding of their own game. Thus, leading to enjoyable golf. The golf swing is a matching game towards the most amount of efficiency. There is no right or wrong, but there are matching and mis-matched moves. I believe in a student centered approach to golf instruction and cater lessons towards each student’s individual goals and motivation. This approach allows the student to take ownership of their golf game, and it allows for mutual understanding and appreciation of their goals resulting in greater enjoyment and success in the game of golf. Michael Bennett & Andy Plummer Ironhorse CC, West Palm, FL. Keith Stewart PGA Head Professional. Springdale Golf Club, Princeton, NJ. Phil Fecteau & Keith Allcock Firefly Golf Course, Seekonk, MA.